THE OTHER SIDE OF HEAVEN 2: FIRE OF FAITH continues the epic true saga of Elder John H. Groberg's missionary adventures in Tonga as depicted in the eponymous Disney-distributed hit film of 2001. Whereas the original movie detailed Elder Groberg's first mission to Tonga in the 1950's as a 19 year-old bachelor, the sequel tells the inspiring true story of his return to Tonga in the 1960's with his wife and five young daughters to serve as President of the Tonga-Fiji Mission. 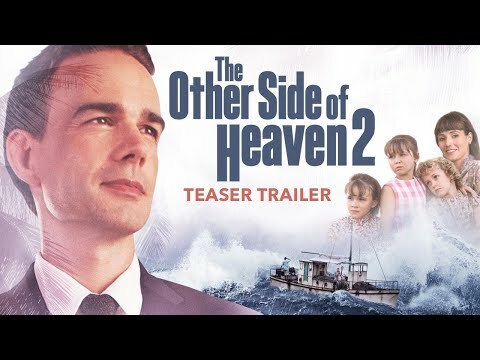 The upcoming The Other Side of Heaven 2: Fire of Faith Cinema release date is June 7, 2019 in the US. Notify me when The Other Side of Heaven 2: Fire of Faith is available.